USMLE Prep courses are really famous these days. There are so many individual and companies out there who offer these courses. 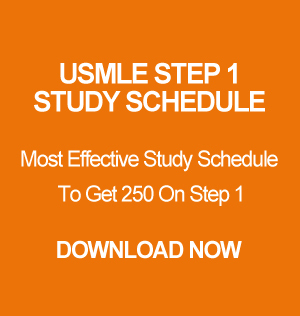 Its really hard to just pick one USMLE Prep course that you know for sure will help you pass step 1. I personally did not use any prep course. Now, I know so many of my friend who attended these courses. Some of the prep course are super expensive and others are cheap but are not worth it. So today, I will review different prep course that I think might help you if you really want to attend a prep course. Kaplan Live Online Prep – By default our school made us take the kaplan live online prep course. I hated it. I thought it was a waste of time. I only attended one day and never went back again. So if you really want to attend a prep course, don’t sign up for the Kaplan Live Online Prep. I mean you have all the videos and they mostly talk about the same stuff as in the video. So forget paying $3000 for this course. Pass Program – Pass Program for Step 1 offers 6, 8 and 12 weeks course. I have lots of friends who took this course because they were required to take it by their school. What most of them told me is that, the course teaches you the basics. It does not teach you enough to face USMLE World or the actual exam questions. So it’s really up to you if you want to spend money on this program. Falcon Reviews – Falcon offers 7, 9 and 10 weeks courses for Step 1. I only had one friend from Ross University who took this course. What he told me is that, he took it because during his time Goljan used to teach. He said besides Goljan, the other professors were totally useless. The program is also pretty expensive. Plus, I am not even sure if Goljan is with Falcon anymore. Individual Prep by Tutors – Now, you have seen so many ads all over the forums and internet where students who passed step 1 offer these courses. If I have to pick any prep course I will use Individual Prep course. My classmates who passed step 1 with 225+ used these courses to prepare for Step 1. The good thing about these individual prep course is that most of these tutor offers you a free session so that you know if it will work for you or not. They will also show you their score and everything. Most of these tutors are also cheap compared to Kaplan, Falcon and Pass. And the tutors will work with your schedule. And you don’t have to pay the full amount all at once. You can pay based on how many hours you want. Now the trick to get a good tutor is make sure you get a free session from someone who recently passed Step 1 and someone from USA since you will be taking US-MLE.